Images from Wichita Botanica Gardens in Wichita, Kansas. The GPS attachment on my camera captured the location of most of the photos on this site. CLICK HERE to view a satellite map pinpointing where each of the photos in the gallery were taken. 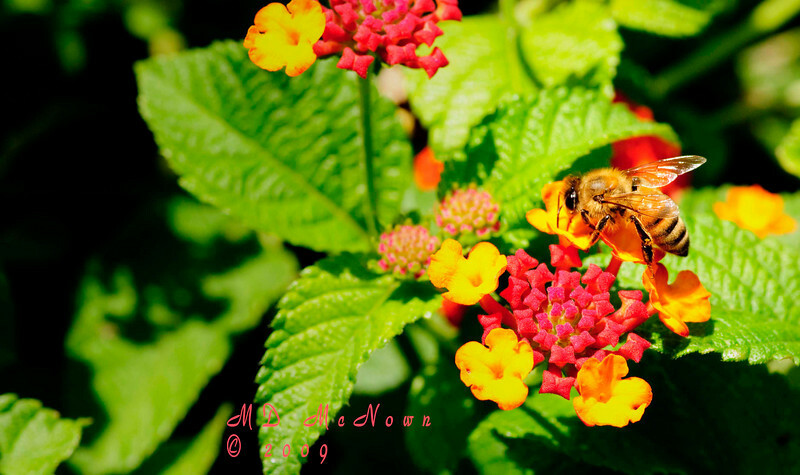 As I was leaving the butterfly enclosure, my photo buddy saw this bee and pointed it out to me. The image was captured with a hand held Nikon D300.